sunshine and whimsy. : how to stress less: a flowchart. how to stress less: a flowchart. 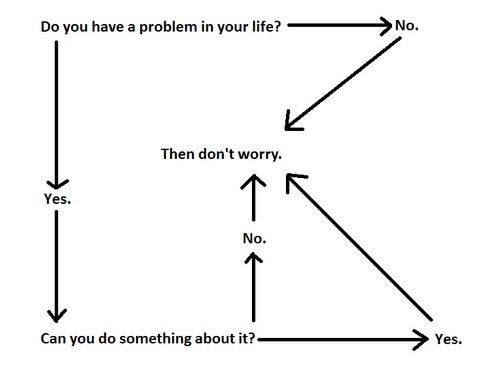 Since a friend tweeted this flowchart over a year ago, I've been able to relax a bit easier. I find myself thinking of it all the time. I know it might be easier said than done, but it's so true. If you have a strategy that helps you stress less, I'd love to hear it! Please feel free to share in the comments or e-mail me if you'd like to write a guest post. P.S. More tips on how to stress less.